Last night I attended the Food Foundation event on the state of UK nutrition and how to improve it. 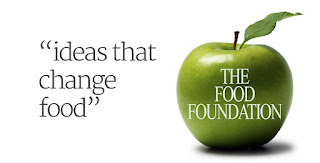 The Food Foundation is a new non-profit working on UK food and nutrition issues, funded by a couple of non-industry foundations and run by the stellar Anna Taylor. The event kicked off with Prof. Boyd Swinburn who gave us a really nice overview of how to improve the food environment (the bit in between people and their diets): the economic costs of different foods, the rules set for businesses by governments (policies and legislation) and cultural norms. The 3 key things for shaping the food system? Strong government leadership, noisy but organized civil society and responsive businesses. I presented some data from the GNR on the UK. Stats that surprised me? The UK is last in fresh food purchases (using Euromonitor data) but middling in terms of purchases of fruits and vegetables. Fiona Watson presented some of the work the Food Foundation is doing on applying the INFORMAS Food EPI food system scorecard to the UK (should be interesting when done). Inge Kauer presented the latest Access to Nutrition Index which holds companies to account for their commitment and actions. She noted how some companies respond well to the scores and some don’t (not always clear why) and that investors and investment advisors are beginning to pay attention to the score and factoring it into their investment decisions. Jo Ralling from the Jamie Oliver Food Foundation mentioned some of their work including their in-restaurant sugar tax (first proceeds allocated to water projects in UK). Andrew Opie from the British Retail Consortium told us that government needed to show strong leadership and apply any new rules to all businesses and all other stakeholders. Guy Poppy from the UK Food Standards Agency reminded us how much evidence matters, and the government’s reliance on systematic reviews. 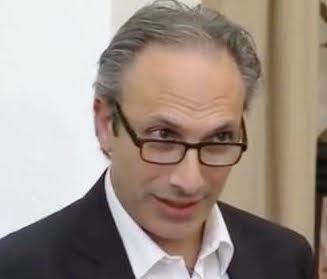 *The title of this blog is inspired by Glen Tarman’s (Action Against Hunger) semi-epiphany --what is the UK going to commit to in the upcoming Rio Nutrition for Growth Summit—not for other countries but for its own population? What is the UK government's nutrition accountability to its own people? *A representative from the National Obesity Observatory told the audience to tear up the UK Nutrition Country Profile (nice) because it was wrong: the UK did have data on under 5 overweight. Afterwards I told this gentleman that I went to visit Public Health England last year and they told me categorically that they did not have any data on under 5 year olds. It turns out this gentleman was referring to data for kids in reception (age 4-5). So don’t rip up the UK Nutrition Country Profile just yet. *In response to a question from the floor about whether food is the new tobacco (and the retail consortium colleague flatly rejected this analogy), Boyd Swinburn made the great point that the fight to prevent obesity has parallels with many public health efforts to prevent automobile accidents, industrial pollution, and unsafe food. That is the first time I have heard that. *Finally, there was a lot of strategizing about Rio. I reminded the audience that commitments for nutrition can be made by anyone, at any time. It’s good to be organized, but let’s not be too paralysed by summit politics. The panel was well chaired by Corinna Hawkes who reminded us that the struggle to improve food systems is essentially about power and how civil society needed to power up to engage properly in the negotiation (as Brazil has done). Really interesting, thanks Lawrence - as always. Much respect for this effort!